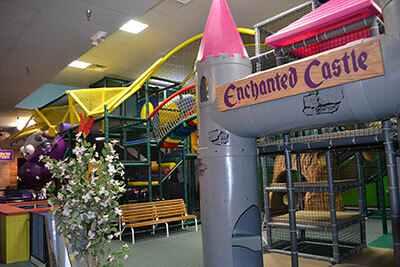 Enchanted Castle of Lombard specializes in family-fun, birthday parties, group celebrations, company teambuilders and events for all occasions and ages. 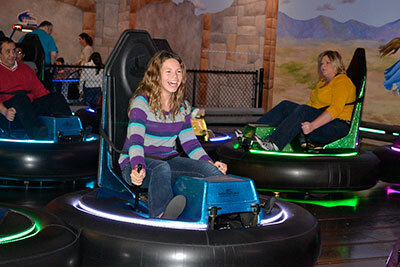 Attractions include laser tag, indoor go-karts, bumper cars, the Catapult ride, Lazer Frenzy laser maze, Hwy. 66 Mini-Bowling, Quest II: Kids Adventure Playland and Sir Bounce-A-Lot's Inflatables. 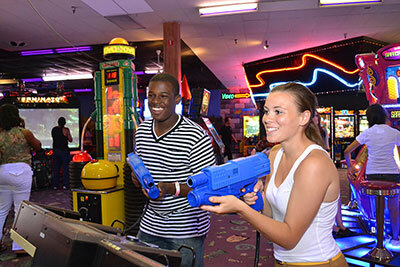 The king-size Game Room offers over 200 sports, video and redemption games plus a large redemption prize center. Enchanted Castle has been a test and launching site for many of the industry's newest game creations, giving our guests the opportunity to play some of the hottest new games on the market. The Game Room is adjacent to the Dragon's Den Restaurant which offers dining accommodations for up to 700 guests, a karaoke stage, animatronic stage show and a big screen entertainment center. Menu items include homemade pizza plus a variety of sandwiches, burgers and more.